I've selected my Combodian Red Plakat to become my subject. 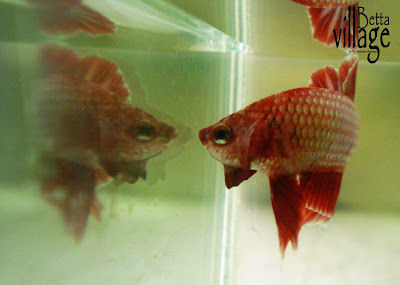 My target is to get a pictures where I can see the fish and their shadow reflections. 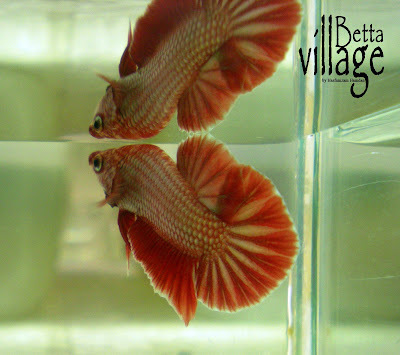 It is not easy to capture a good picture especially if your betta is hyperactive during photography section. Moreover, I'm not a professional photographer but with a passion and patience, I manage to get some good pictures (at least for me...hehehe) Enjoy!! !